The small town of Stevenston boasts an exceptional quantity and variety of wildlife-rich habitats. At the southeast of Stevenston lie the former ICI grounds, one of the most important habitat complexes in southwest Scotland: the huge Black Powder Wood is one of the largest areas of mixed woodland in North Ayrshire; the Ardeer Peninsula contains the largest area of acidic dune grassland in the UK, as well as a variety of other interesting dune habitats; the Garnock Estuary is arguably Ayrshire's most important wetland, and supports the only significant area of saltmarsh between the Clyde and the Solway; Garnock East, beside Stevenston, is a wilderness of fen, wet woodland and wildflower-rich Brownfield land. The farmland around Stevenston is typically lacking significant wildlife interest. 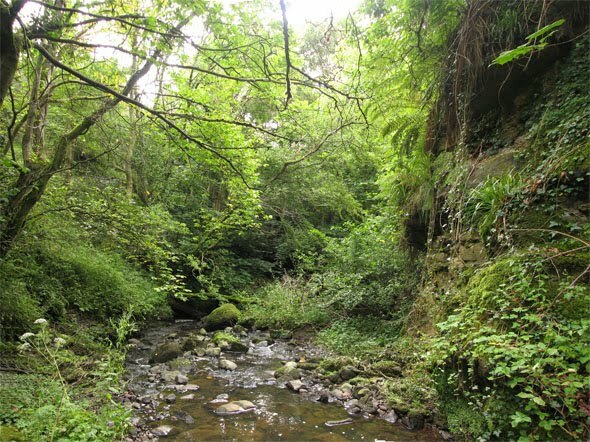 However, there are a few wildlife oases, including Dubbs Quarry, an overgrown, disused quarry; Ashgrove Loch, an ancient mesotrophic loch; and Glen Banks, a picturesque wooded glen. The urban area of Stevenston is lucky enough to contain several interesting patches of habitat. Stevenston Beach Local Nature Reserve (LNR) contains the last fully forming sand dune system in North Ayrshire; Ardeer Quarry Local Nature Reserve is the subject of several habitat improvement projects; running between Stevenston and Saltcoats, Auchenharvie Wood has a generous kilometre of southeast facing woodland edge habitat, ideal for a wide variety of woodland wildlife; and the semi-natural ancient woodland at Kerelaw Glen stretches from the top of Stevenston down to the town centre. Ardeer FRIENDS is a long-runinng conservation group dedicated to conserving, improving, and recording biodiversity in and around Stevenston for the benefit of local people and the local environment. 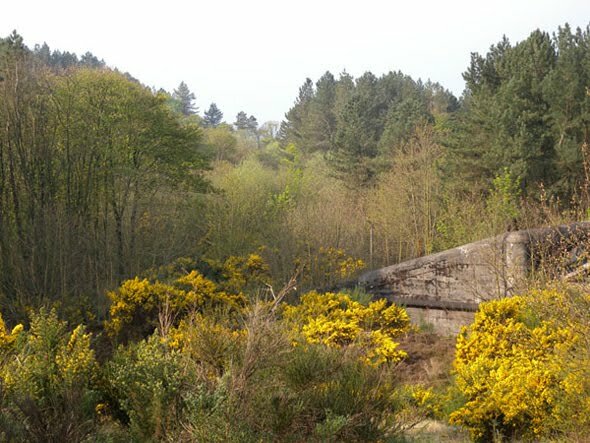 View of the Black Powder Wood, Stevenston's largest area of woodland and one of the largest woods in the county. 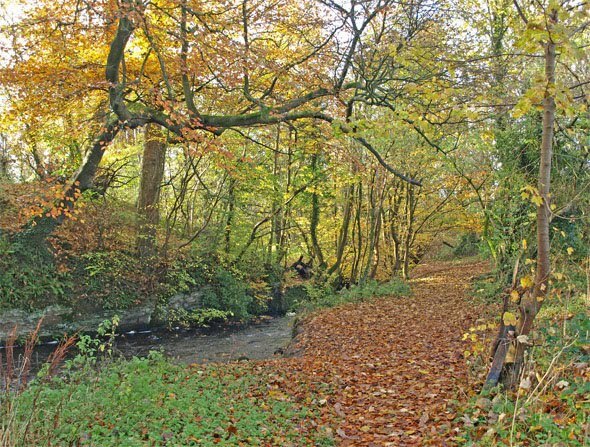 Semi-natural ancient woodland lining Stevenston Burn as it runs through Kerelaw Glen. Lush, overgrown woodland at Glen Banks.